"... exemplary client service ..."
"... It's going to be a winner because of their work ..."
"... They are very knowledgeable and helpful. ..."
Check out our current pre-sale titles. In our first interview, we will review your manuscript and your verbal book proposal. We will organize and execute the entire crowd-funding / pre-ordering process and pre-sell as many books on our dedicated website until the required sales has been reached to fund the editing, design, layout, and printing of your book. We will evaluate your manuscript and schedule a second interview with you over the phone. We will review our publishing and pre-sale agreement and sign it if accepted. 2. You send us your manuscript. 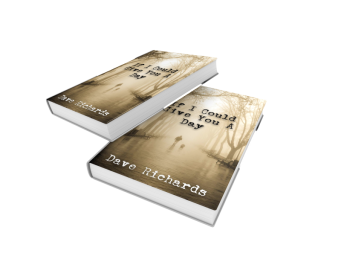 If we and you (the author) agree to move forward, we will create an engaging book cover that will be used on the sales site and the landing page for the pre-orders. 3. Creation of an engaging book cover. We will use the book cover to list the book on our website for pre-sales with an engaging 3D mockup book cover. 4. Listing of the book for pre-sales. We will accept as many pre-orders as has been agreed upon in the publishing agreement. All net sales funds will go towards the creation of book artwork that can be submitted to bookstores for official release. 6. Creation of book artwork. Once the artwork has been completed we will create physical review copies of the book (paperback softcover books), which can be used to send to influential people or organizations with the goal to receive book reviews, book referrals, endorsements and possible people who like to add a foreword or an introduction to the book. 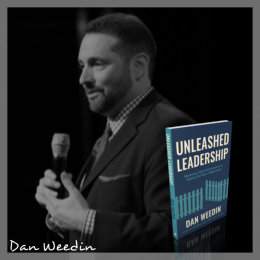 Once the book has been reviewed and improved based on all feedback we will submit the book to our distributor that will make the book available to all bookstores, educators, universities, libraries and other brick-and-mortar and online retailers. You will receive free softcover books with the order of our packages. Additionally, you will get one free galley proof, so you can see how your book will look in print before we finish the design. Our graphic design team has designed hundreds of books in the past and will work with you to create a stunning book cover that makes your book stand out. We will transform your manuscript and professionally design the book interior pages. Check out our book designs >here<. We print your books on demand (POD) and ship them to all locations in the US when you need them. Shipping up to 20 books will free charge with any of the packages. * Terms and pricing for our standard Packages A, B, and C: your books will be printed as softcover books on 20# interior paper in black and white, max. 5 illustrations/pictures in the entire book, max. 730 pages, color book cover 80#, 1 stock photo for the cover, 1 revision from galley proof with not more than 5 format correction. We can print your book literally to any size between 4 x 4 and letter size. 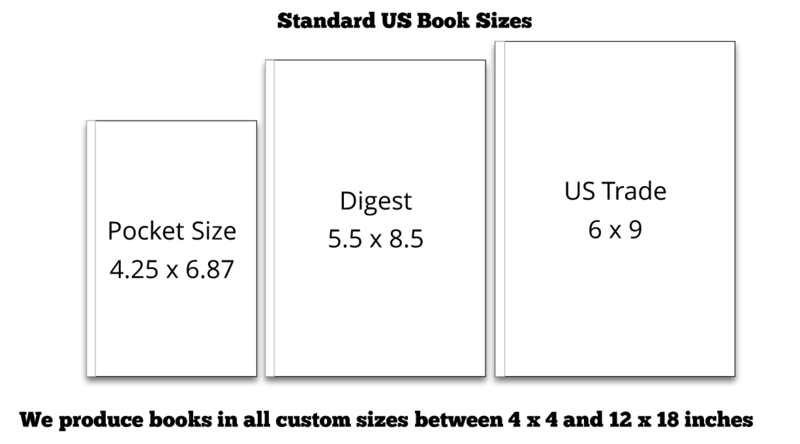 Typical sizes are Pocket Book (4.25 x 6.87), Digest (5.5 x 8.5), and US Trade (6 x 9). You will receive all book files as PDF, so you can use all the artwork to reprint your book or use parts of it for your promotional activities. Our packages do not include any marketing or services other than the catalog listing in Package B. You will talk with our graphic designer in person over the phone, Skype or face-to-face. We focus on book design and book printing. We won't bother you with non-transparent editing offers or overpriced book marketing services. We focus on serving you. We will create your unique book starting with just your manuscript and providing you with a quality book. We also offer a large selection of interior and cover paper choices, full interior color pages, full bleed interior pages, additional modified stock photos, additional graphic design work, ebook, and audiobook. You will work personally with pros in the publishing industry. We will design a book cover and we will do all the interior design and layout of your book. You will receive two free books and one galley proof book. 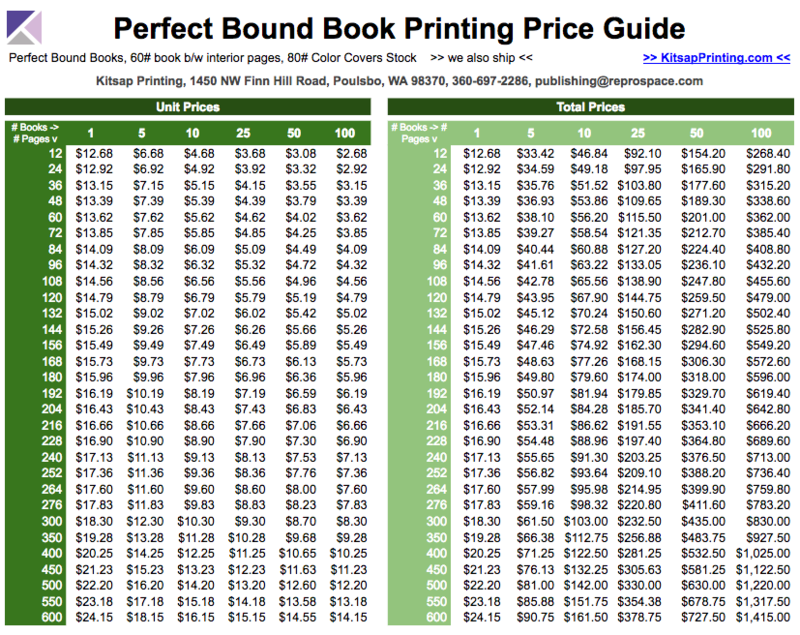 After this package has been delivered you can print as many additional books as you wish based on below price guide. There is no minimum order for books – you can order 1 book or 100s of books. This package is best for authors who have a finished manuscript and want to see their book in print for the first time and hand it out to family and friends. This package is best for authors who want to get their books in print and hand it out to a larger number of people. This is a great way to receive reader and peer reviews. 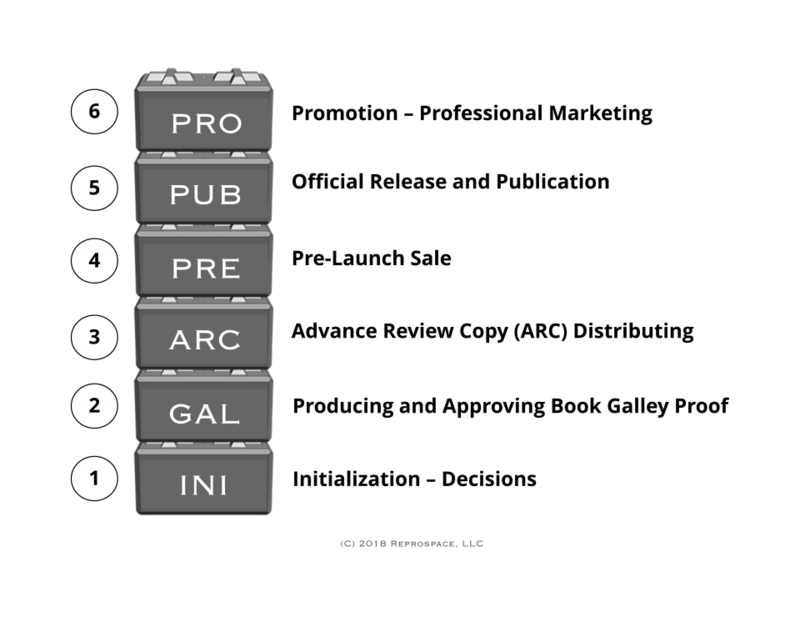 As a self-publishing author, you can decide to reach out to a traditional publisher or an agent at any time and at any step of the six book publishing stages. If you feel like you would like to get started with your book project to receive feedback and recognition, you can start at step 1 and invest your own money until you get the attention of a traditional publisher or until you start being successful selling your book. "One of the benefits in working with Ingemar and his staff at Reprospace is the exemplary client service. Whenever I had a question, needed an answer quickly, or had issues or concerns, they were fast to respond and provide solutions. They are able to be nimble, act swiftly on your behalf, and do it with a smile on their face. In the ever changing world of publishing, this commitment to authors through strong customer service is refreshing. If you have a book that you want to be printed, look no further than Reprospace. You'll be well taken care of and your book (and you) will be better off from the experience."